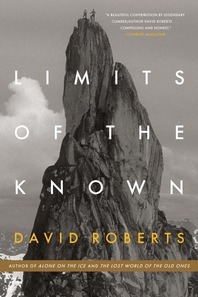 Limits of the Known - Description | W. W. Norton & Company Ltd. In a book that is part memoir and part history, David Roberts looks back at his personal relationship to extreme risk and tries to make sense of why so many have committed their lives to the desperate pursuit of adventure. In the wake of his diagnosis with throat cancer, Roberts seeks the answer with sharp new urgency. He explores his own lifelong commitment to adventuring, as well as the cultural contributions of explorers throughout history. He looks at what it meant in 1911 for Amundsen to reach the South Pole or in 1953 for Hillary and Norgay to summit the highest point on earth. And he asks what the future of adventure is in a world we have mapped and trodden all the way to the most remote corners of the wilderness. The life and death-defying feats of AlexHonnold, a visionary climber of the sortthat comes along only once in a generation.